Pope Francis knows his recent criticism of “unfettered capitalism” confused some people. “Marxist ideology is wrong,” he told Italian newspaper La Stampa. 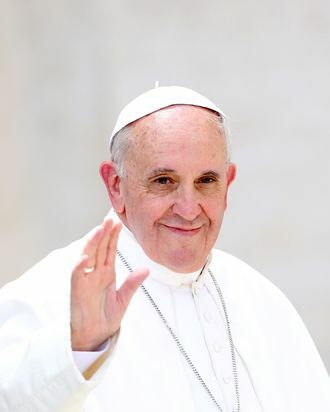 “But I have met many Marxists in my life who are good people, so I don’t feel offended.” Pope Francis also doesn’t support abortion, gay marriage, or contraception, but he remains pretty cool, for a pope.